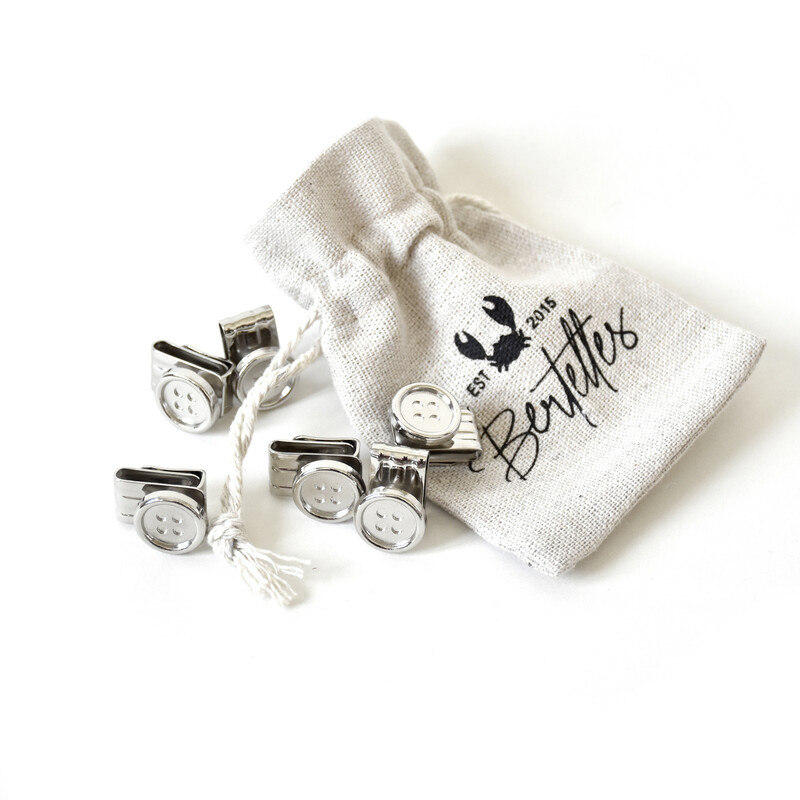 These skinny braces/suspenders (25 mm wide) are one of our most popular items – a timeless, elegant accessory with a leather badge bearing the trademark Bertelles crab that makes it truly unique. 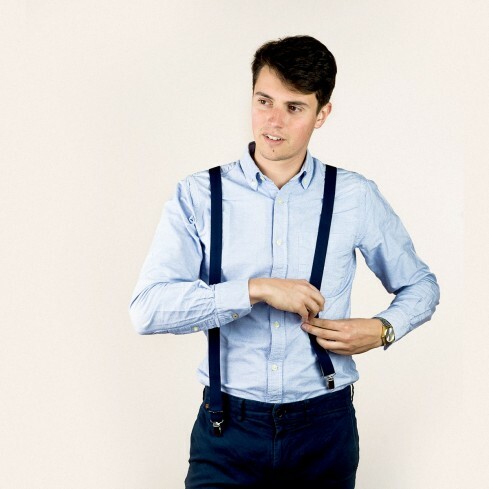 The 120 cm elasticated strap is made in Belgium, while the stainless steel clips make the braces/suspenders easy to attach to any pair of trousers or shorts. 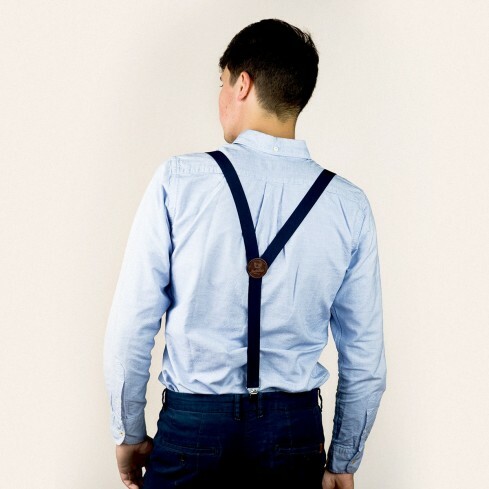 These navy skinny braces/suspenders are a safe bet. Epitomising tradition, comfort and style, they’re sure to last for many years to come.